NEW SUMMER WEEKS JUST RELEASED. 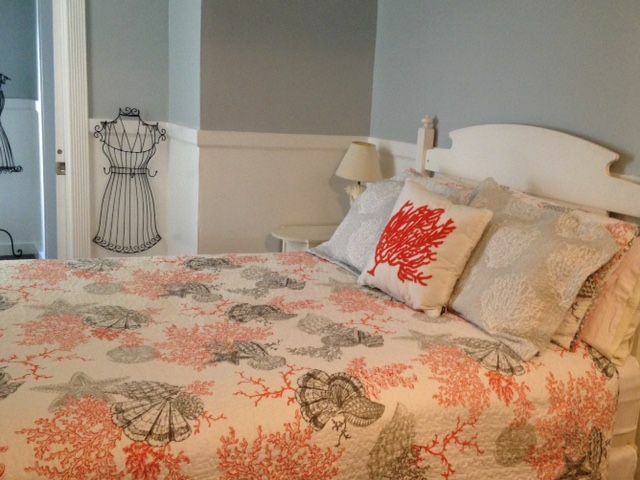 Grab your friends and family and take over this former B&B for the summer! 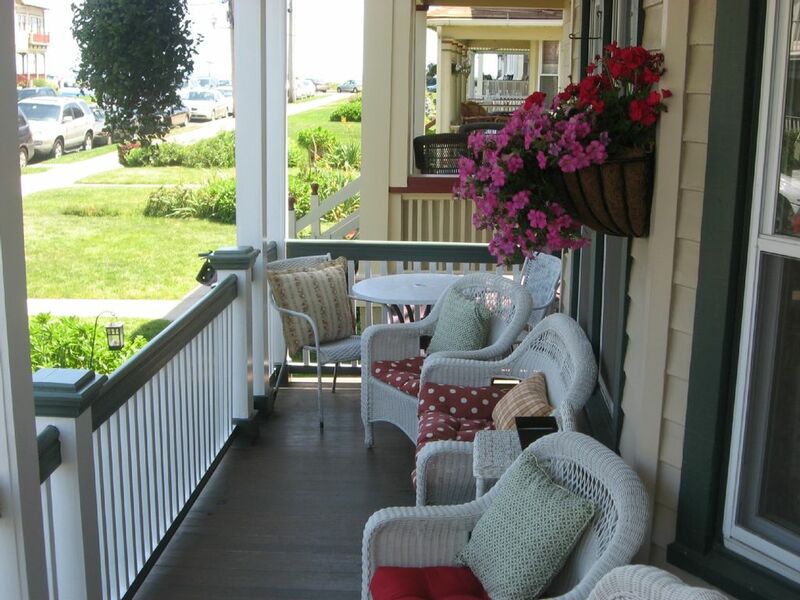 Located on the first beach block with amazing panoramic ocean views from three large porches. 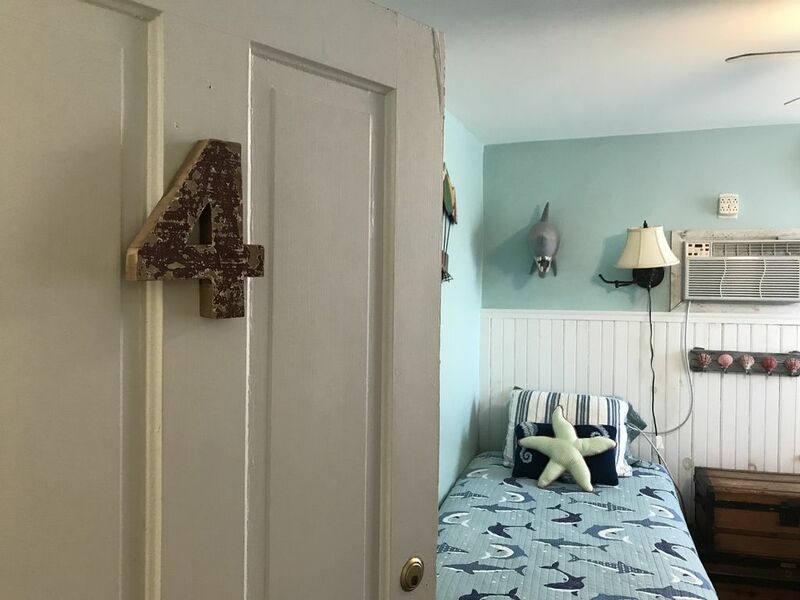 Sounds of waves and ocean breezes fill the house (4 bedrooms have access to the top two outside porches and ocean views!). 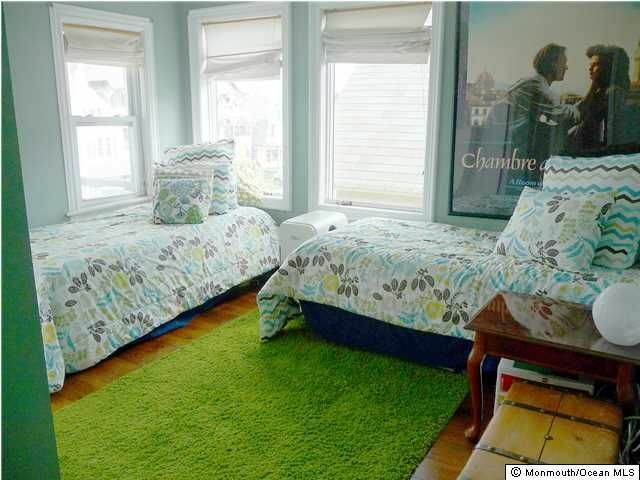 7 DAY MIN FOR SUMMER RENTALS (we rent Fri/Fri in the summer). 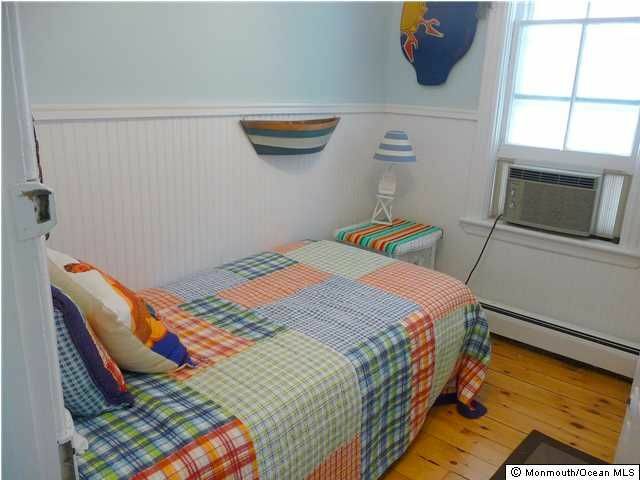 There is AC in every room. NOTE: No proms please. Min age for renters is 25. 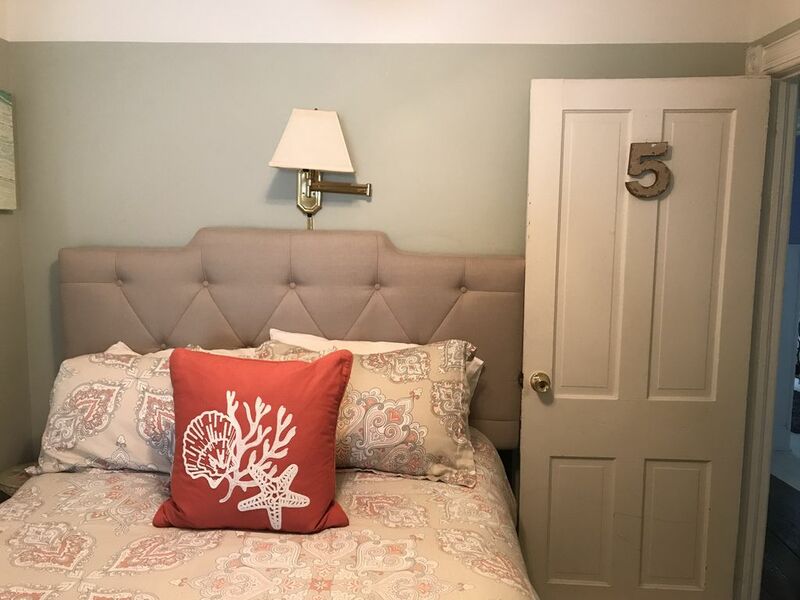 CHECK OUT OUR 5 STAR REVIEWS! 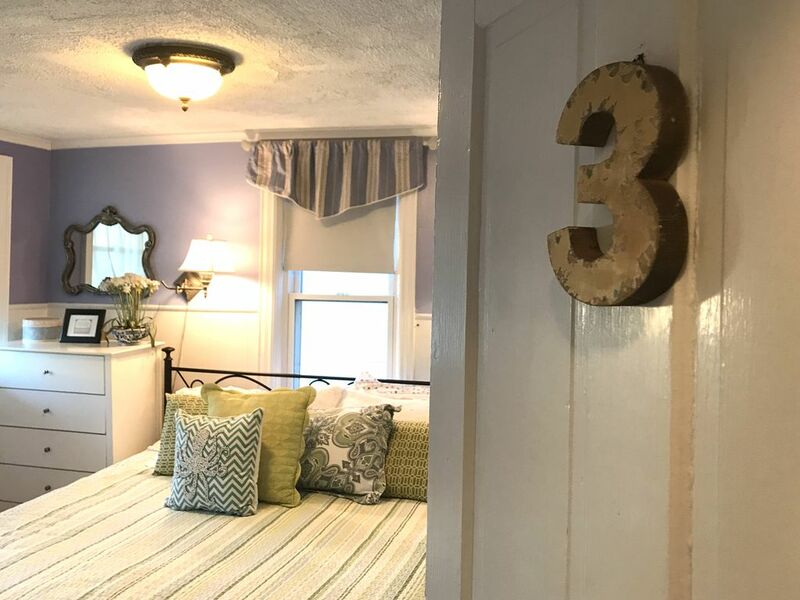 SLEEPS 15 PEOPLE - five of the bedrooms have their own full bath. 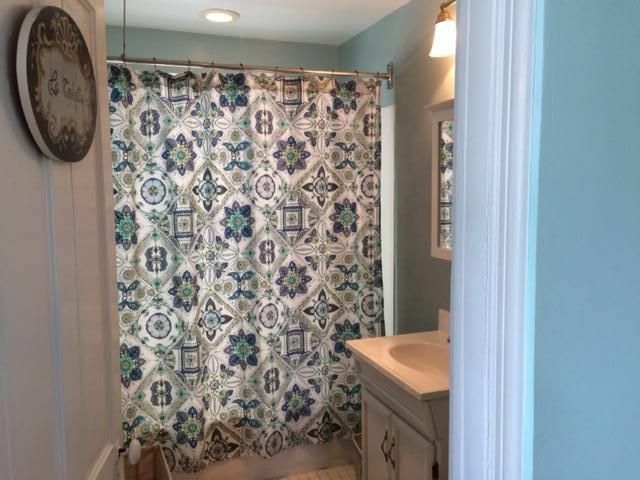 Ideal for privacy with a large group. 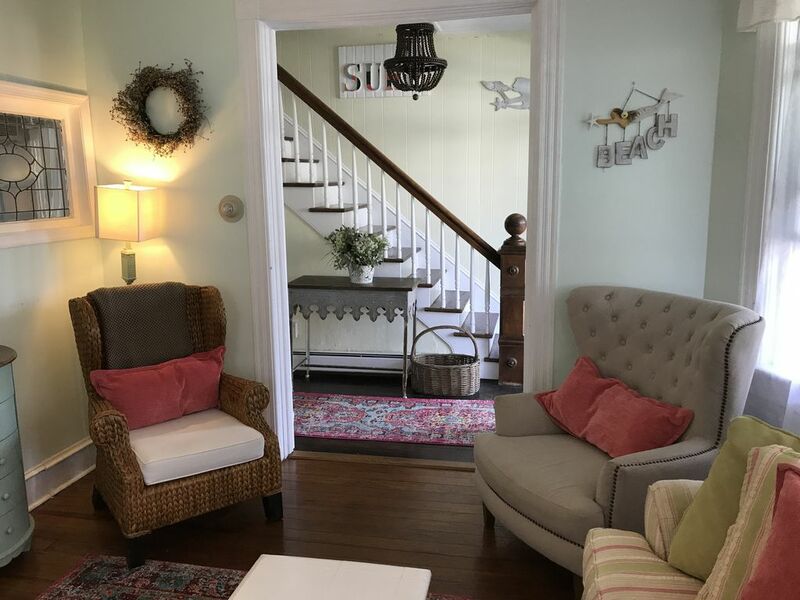 OFFSEASON Jan-May 2018 / Sept- Dec 2018 is for the bottom 2 floors only (5 bedroom/5 bathroom) An IDEAL meeting place for large groups, retreats or girls weekends! NOTE: I ask renters to pay my fees (rental & deposit) via check. If you are not comfortable paying your rental by that method, I will take PayPal but fees will apply (they charge 2.9% and on an average that can get to as high as $200 in PayPal fees). 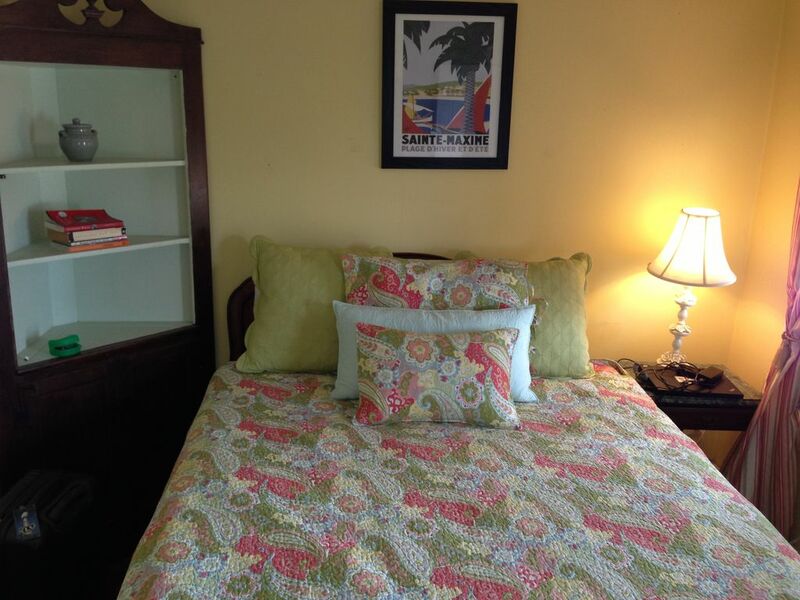 HomeAway fees are paid by PayPal or credit card. 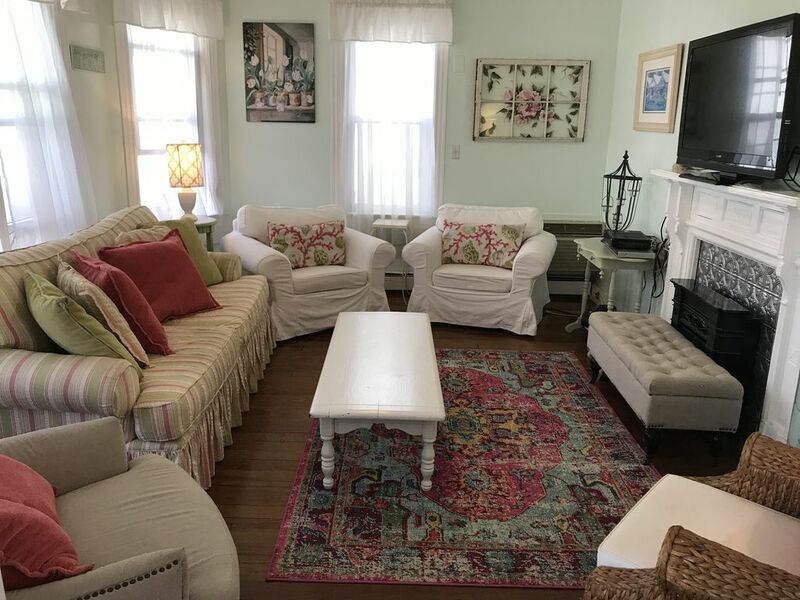 "SURF HAVEN" IS A RENOVATED CENTURY VICTORIAN HOME AND FORMER BED & BREAKFAST THAT IS AN IDEAL HOME FOR FAMILY HOLIDAYS, GATHERINGS, WEDDINGS, GIRLS WEEKENDS OR RETREATS. Book now as we have many early and return bookings from last season and summer. 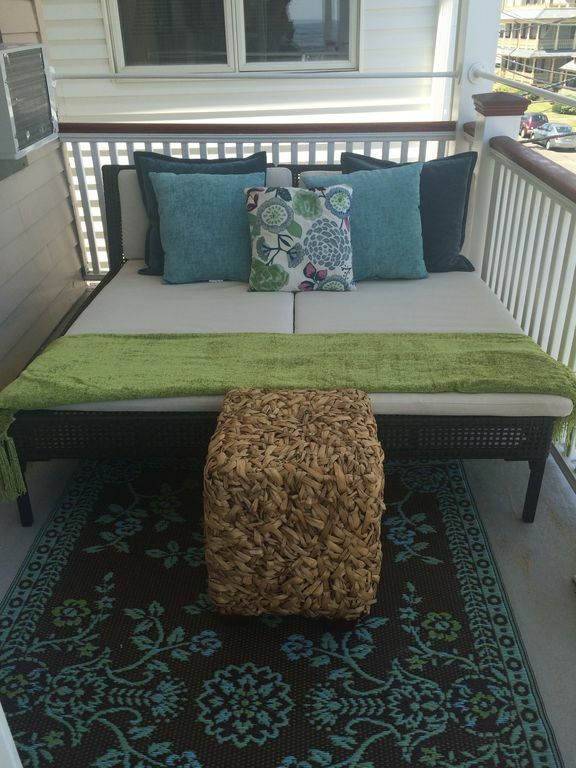 SURF HAVEN is a house truly has it all...steps to beach (we are 5 houses from the beach on the 1st beach block! 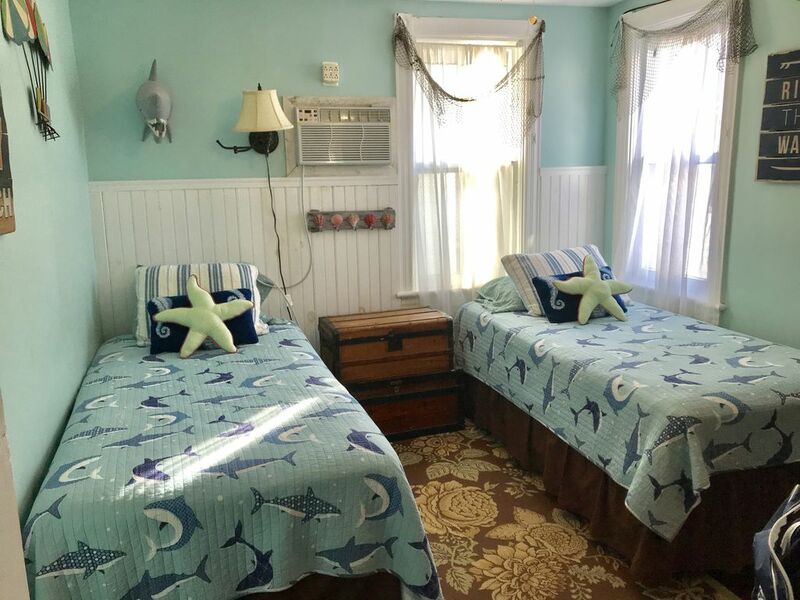 ), downtown Ocean Grove, ocean views, 8 bedrooms & 6 bathrooms, two outdoor showers, two renovated kitchens, 3 porches with panoramic ocean views, 3 blocks to the many five star restaurants in Asbury Park and access to a beach locker! 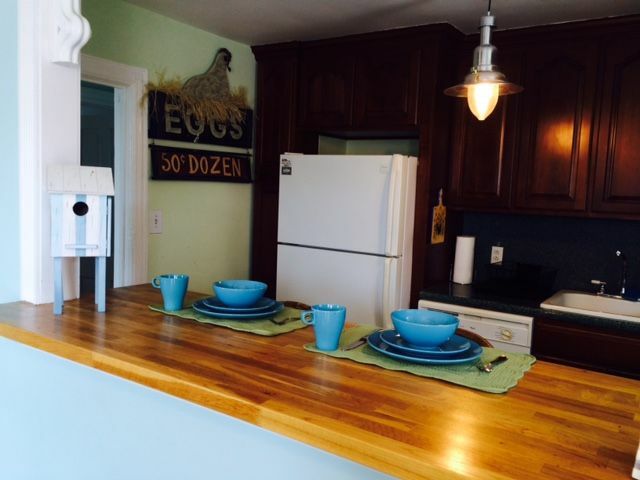 Height of the summer weekly (Friday-Friday) rental rate is $6850. Please check out my reviews. 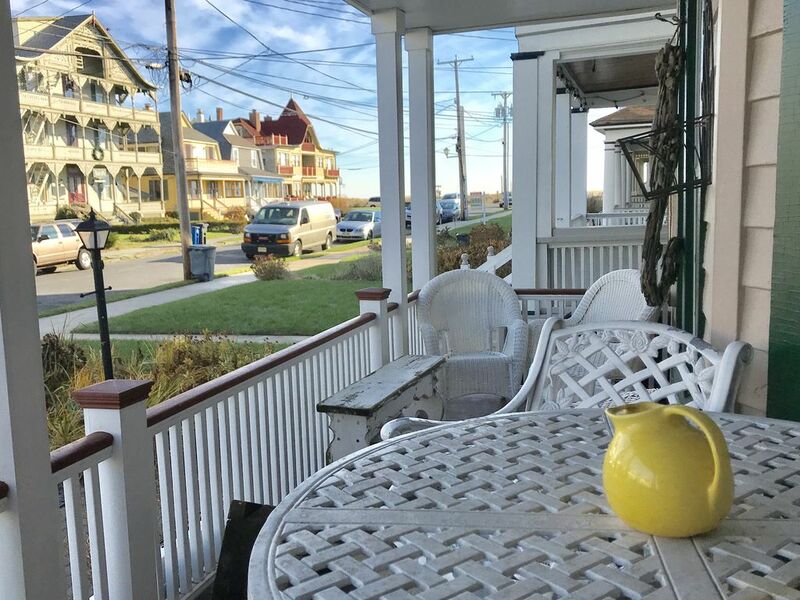 Enjoy spectacular ocean views from every floor at this charming renovated century Victorian home which has 8 comfortable bedrooms, 6 full bath rooms (5 of the bedrooms have their own full bath!! 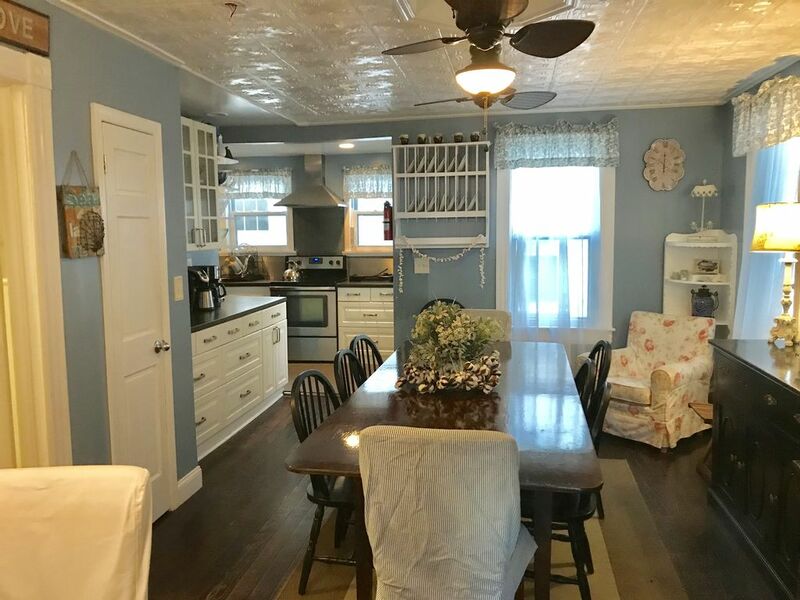 ), porches with panoramic ocean views, private outdoor showers, renovated kitchens, living rooms, washer/dryer, WIFI, cable/DVR, A/C in all rooms, 2 blocks to town (3 blocks to Asbury Park), gas grill, sleeps 15. 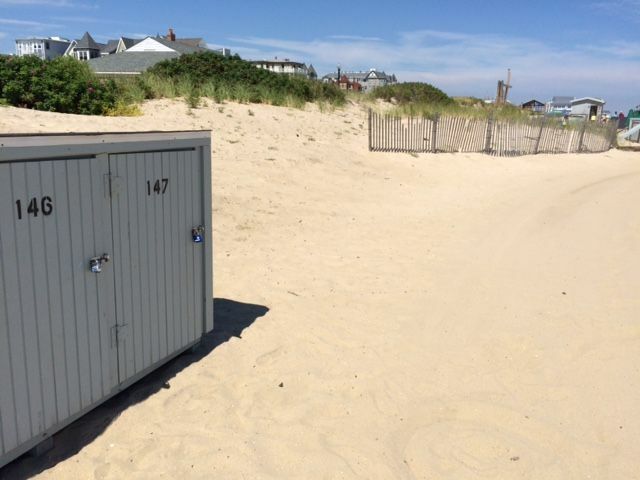 No lugging beach chairs and toys to the beach since this rental comes with access to a beach locker, 8 beach badges and beach chairs. 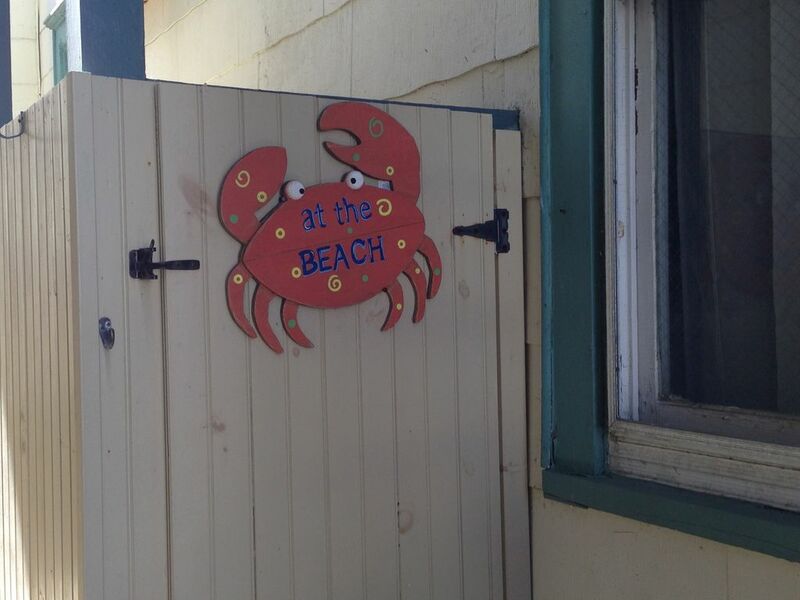 We do not provide beach umbrellas. 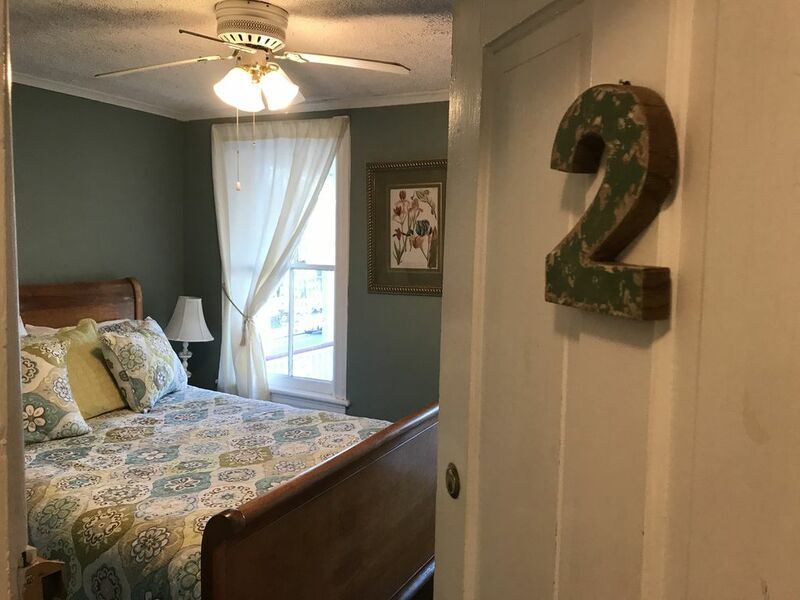 The breakout of the 8 bedrooms; One bedroom has a king bed, four bedrooms have full/queen beds (one of these rooms also has a full size futon) two bedrooms have 2 twin beds and one bedroom has 1 twin bed Room #1 (1st FLOOR/sleeps 2-3); Queen Bed & full size futon with full bath - IDEAL for older guests Room #2 (2nd FLOOR/sleeps 2); Full Bed with balcony and designated full bath down the hall Room #3 (2nd FLOOR/sleeps 2); King Bed with balcony and full attached bath Room #4 (2nd FLOOR/sleeps 2); 2 Twin beds with full attached bath Room #5 (2nd FLOOR/sleeps 2); Full Bed with full attached bath Room #6 (3rd floor/sleeps 2): Queen bed with door to the porch Room #7 (3rd floor/sleeps 2): 2 twin beds with door to the porch Room #8 (3rd floor/sleeps 1): 1 twin bed SECURITY: SUMMER WEEKLY RENTALS: A $600 security deposit is required to guarantee the reservation. 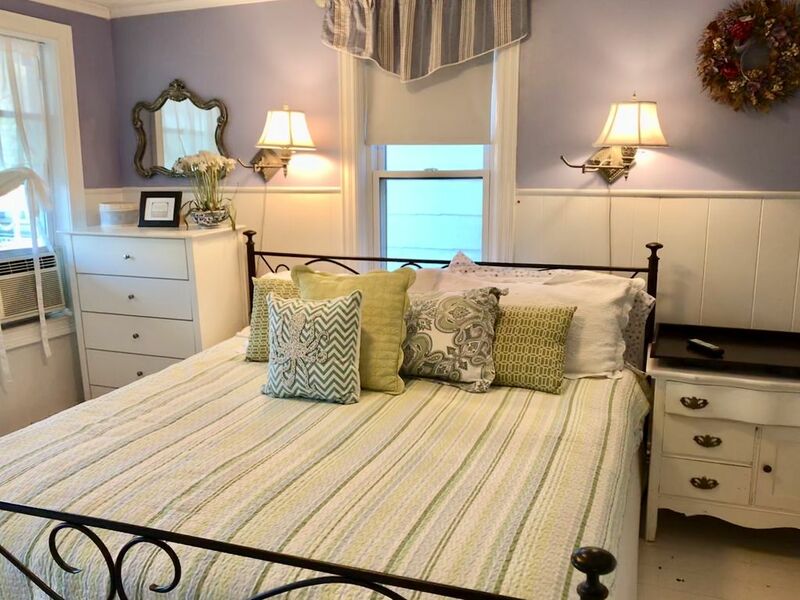 This is fully refundable the week after your stay (the house, which if fully cleaned upon arrival, will need to be in the condition it was when renters arrived or all/portions of the deposit will be held). 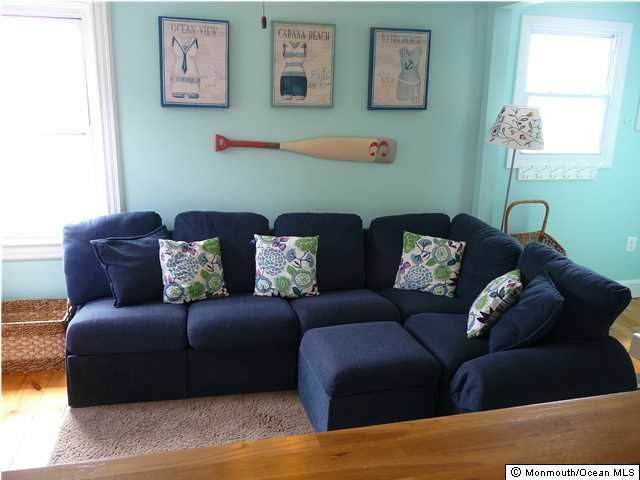 No smoking in the house or porch/no pets without prior approval & fees $300 SECURITY FOR 3 DAY 'OFF SEASON' RENTALS CANCELLATION POLICY; $600 Security deposit is held if cancellation occurs prior to first payment. 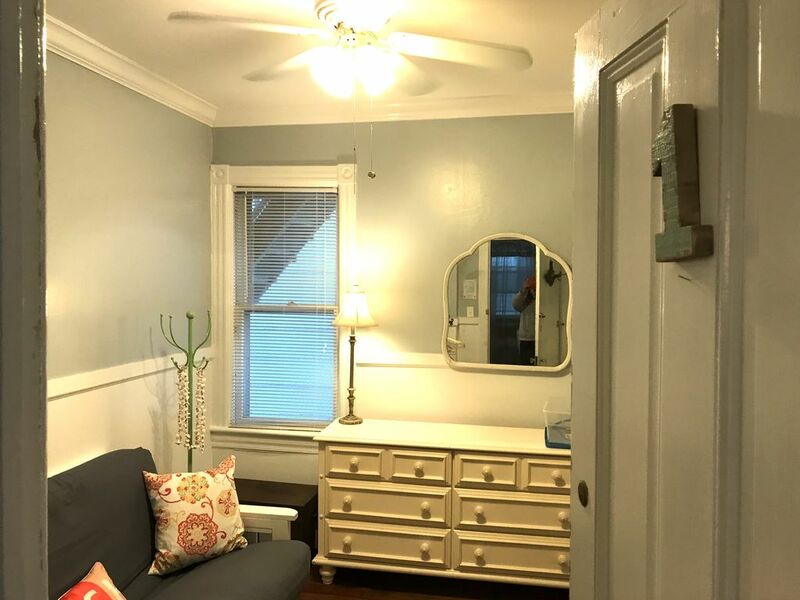 If payments are made; 50% of rent is forfeited 90 days prior; full rent forfeited 60 days prior (ONLY if house can't be re-rented - I will do my best to get the house rented and I have had positive results in doing so in the past). 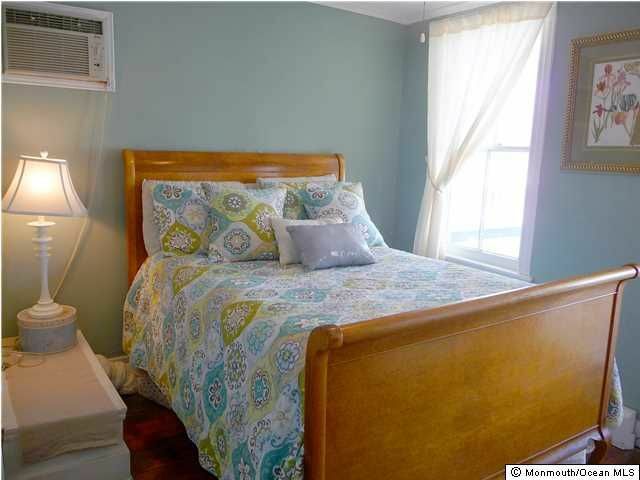 MISC - The house comes with linens and towels. 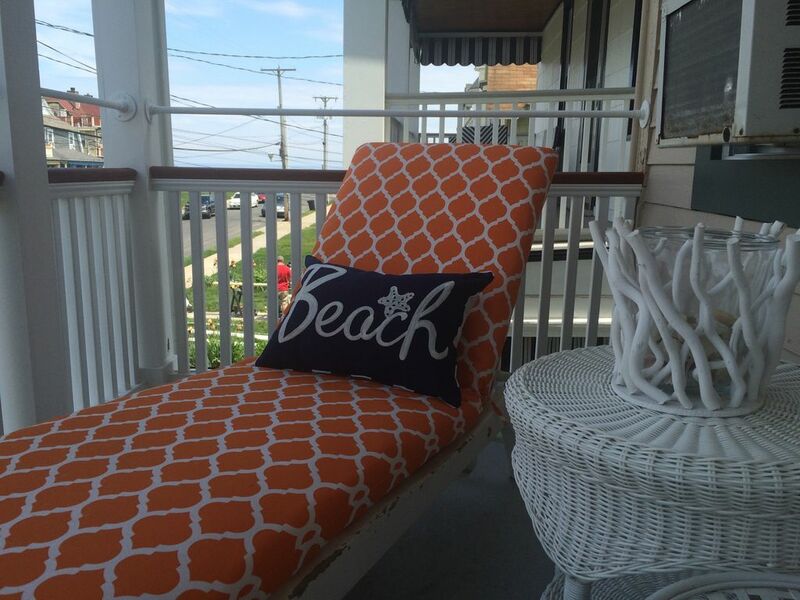 -------- A note from the owner... Hi I am Annie and thank you for your interest in Ocean Grove. 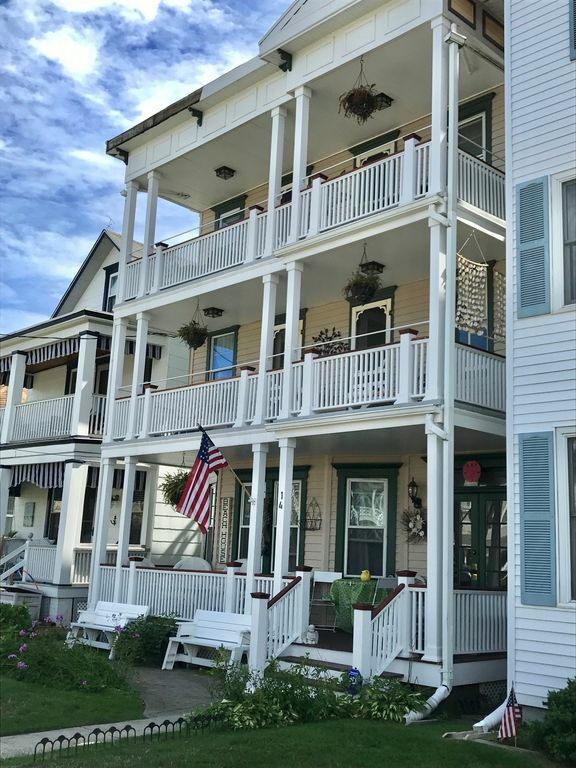 I have been coming to Ocean Grove for over 30 years and have been fortunate enough to have owned homes in Ocean Grove for almost 20 years. I will respond to your request as quickly as possible (usually within the hour) and am just as responsive when you rent my home. 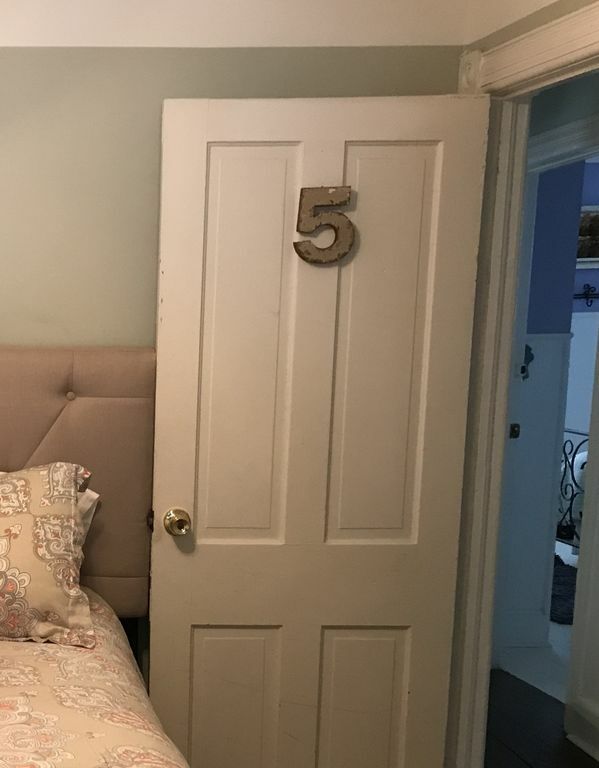 I do everything I can to make sure my guests have a great stay. 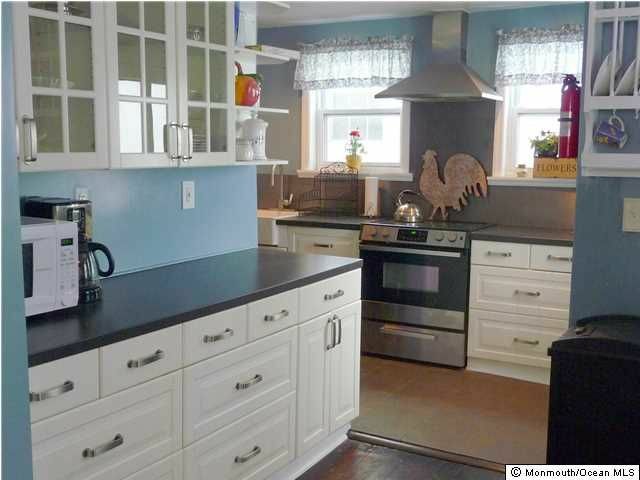 I always note to renters that the house is a true century home and that some of the floors may be uneven or creak. 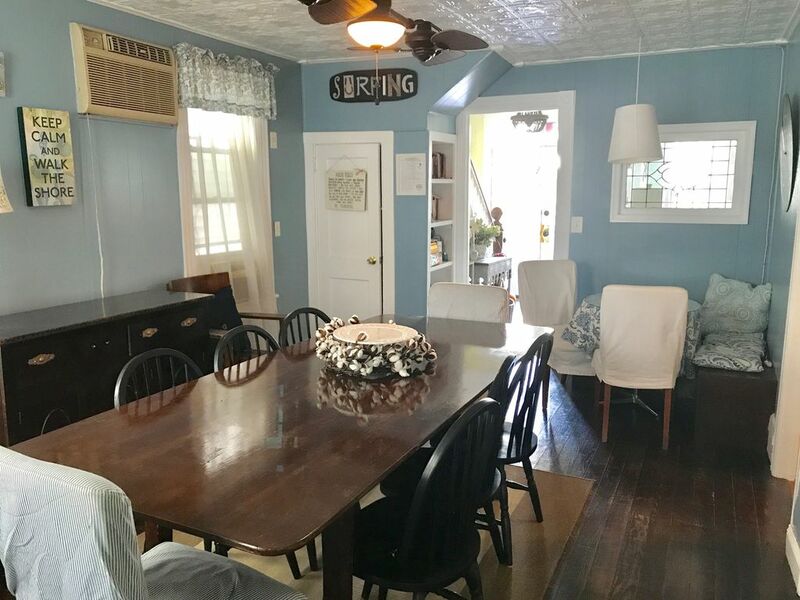 In spite of its little quirks, it is an amazing place to stay and the house is filled with charm and character. Our home is also a couple of blocks away from Asbury Park which has just been named COOLEST SMALL TOWN IN AMERICA. We are ALL very excited about the rebirth of this great town. Please contact me with any questions prior to booking. I do take PAYPAL but will have to charge you the 2.9% fee (which at times gets to be an additional $200+ in extra fees). I am fine to take a personal check via snail mail. 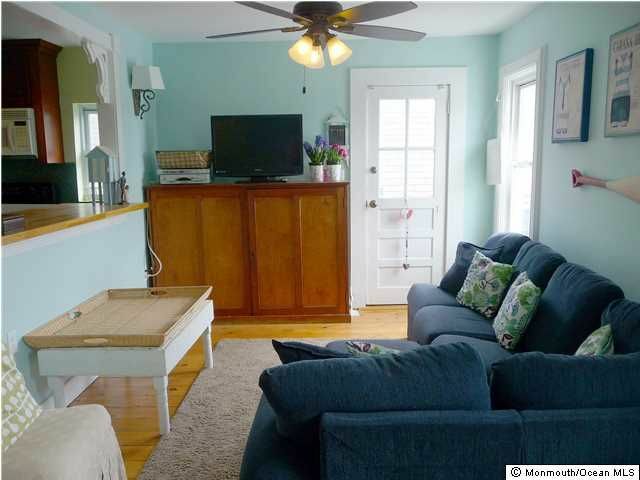 Thanks again for your interest and if my home isn't right for you, I hope you find another gem in Ocean Grove to stay at. 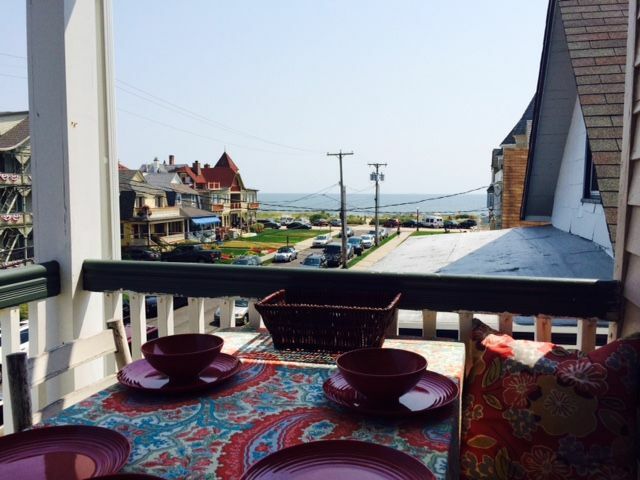 Best, Annie Hekker Weiss PS: Ocean Grove -- was recently rated by FODOR's Travel as one of the top 10 beaches in the world! It is a beautiful and charming town, renowned for the highest percentage of Victorian homes of any town in the country. You can walk any where in this quaint, family-oriented little slice of heaven, an oasis only 60 miles from New York City. 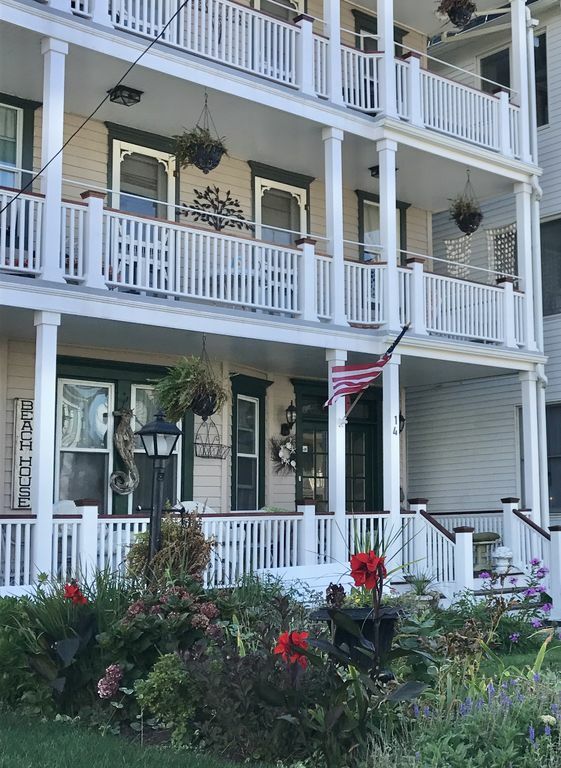 From cute shops and casual dining, to beach and board walk activities and a wide range of live entertainment at the famous 'Great Auditorium' and clubs and night life in neighboring Asbury Park.